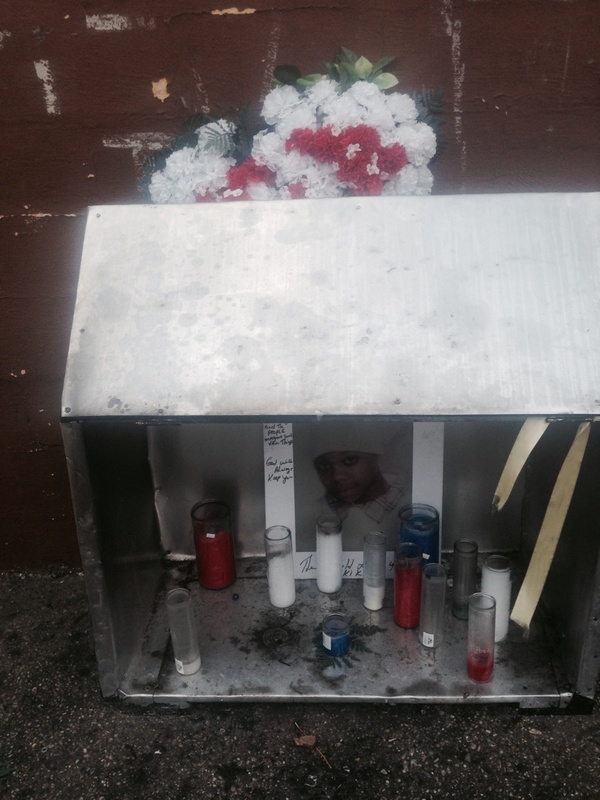 On the corner of East 55 Street and Church Ave in Brooklyn stands a makeshift memorial for Kimani Grey. 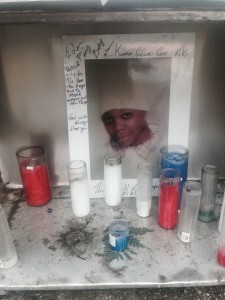 Kimani was a 15 year old who was gunned down by officers in Brooklyn, NY on March 9th,2013 after officers mistakenly thought he possessed a firearm. Beloved by his classmates and family, this memorial was dedicated to Kimani over a year ago. I was saddened by the loss of such a young child, no one deserves to die such brutal death. This entry was posted in Uncategorized on May 6, 2014 by blossom.